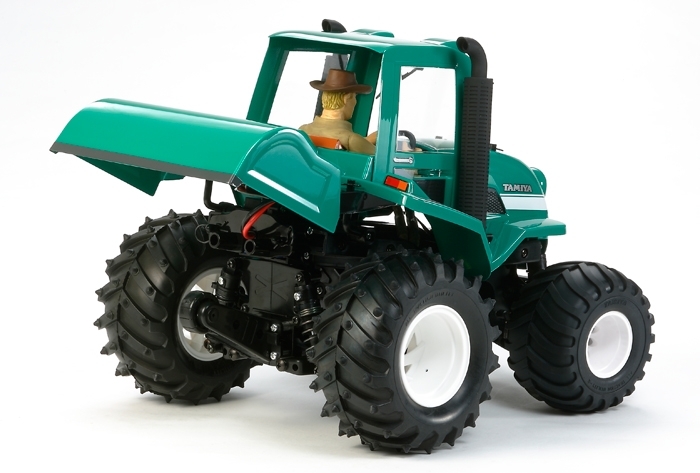 This R/C assembly kit recreates the hard-working mainstay of farm life, the tractor. The polycarbonate body features a comically-styled front mask over the bonnet, a large plow on the rear and exhaust pipes on either side of the driver's seat. A driver figure with ten-gallon hat is also included. 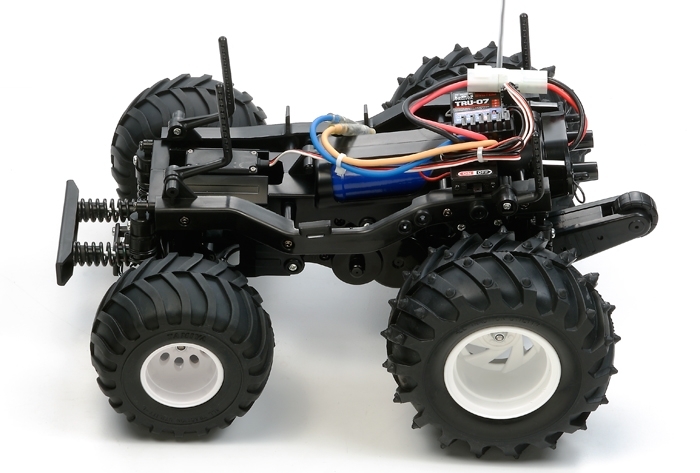 The WR-02G chassis features a heavy duty monocoque frame which is equipped with 97mm and 130mm diameter wheels on the front and rear respectively for a realistic scale presence. 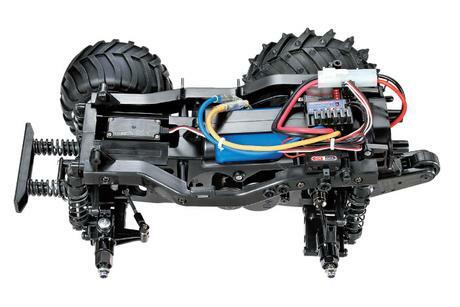 Motor is positioned along the centerline of the chassis and power is delivered to the rear wheels via a fully-enclosed gearbox equipped with a differential. 4-wheel double wishbone suspension makes for realistic mechanism. 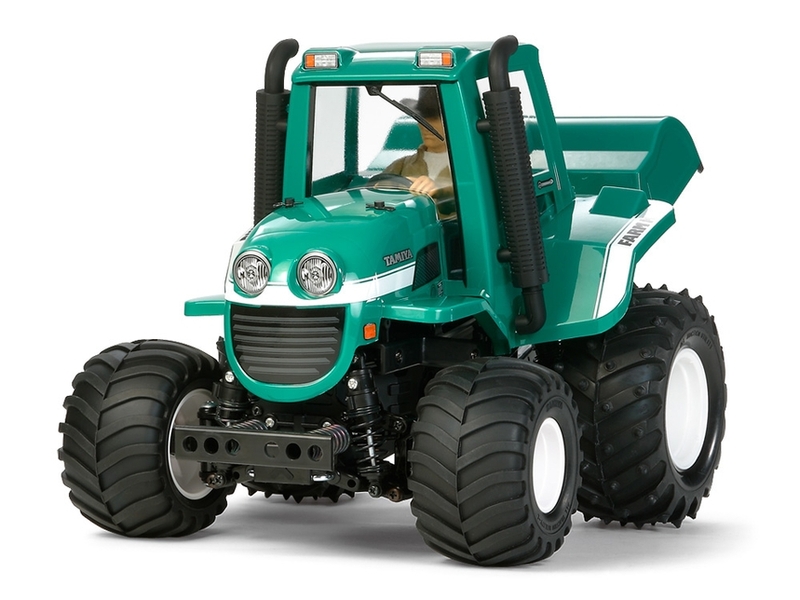 Designed with a wheelie bar to enable fun, wheels in the air driving action, this tractor definitely puts the fun into farming!